We all know the basics of keeping our own teeth healthy, but many people remain relatively clueless when it comes to their children’s oral hygiene. 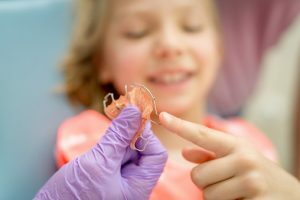 Common questions include things like “when should I make my child’s first dental appointment?”, “should my child be flossing?” and “how do I know if and when my child may need braces?”. Parenting can be very tough and it can be hard when judging how much dental care your child needs and at what stage in their life. As a parent, you will obviously want to prevent cavities and general tooth decay. However, it is not always clear how to do so for a child. We have put together a number of points of advice to help you along in your parenting journey. 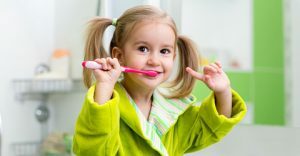 When should children start to brush their teeth? It may be a surprise to you, but good dental care actually starts before a baby’s first tooth surfaces. Just because the teeth have not appeared yet and not visible does not mean they are not there. It is the case that Teeth begin to form in the womb in the second trimmest of pregnancy. At birth, a baby will have 20 primary teeth, many of which are fully developed in the jaw. Even babies can experience tooth decay if good feeding practices are not the norm. Putting a baby to sleep with a bottle may seem like an ideal way to get them to sleep, but this can actually harm the baby’s teeth. Parents and caregivers should set specific times for drinking each day because sucking on a bottle can damage the teeth if done all day. So how do you care for your baby’s teeth when they are not yet on the surface? And beyond that? Before your baby starts to teeth, you should run a clean and damp washcloth over the gums in order to rid of any harmful bacteria. Once your baby starts teething, go out and buy an infant toothbrush to brush their forming teeth. To do this, you should use water and the smallest bit of fluoride toothpaste (measuring about the size of a grain of rice). If you find that you have been using an infant toothpaste which does not contain the fluoride, you will want to minimise any toothpaste that is swallowed. When your baby has got teeth and they touch, this is when you can begin to floss in-between them. Once your child is around the age of 2, you should aim to teach them to spit whilst brushing their teeth. Do not teach your child to swish water and spit as this increases the likelihood that they will swallow the toothpaste. You should always aim to supervise a child younger than 8 while they are brushing their teeth. It is recommended that a child sees a dentist by their first birthday. This first visit should involve the dentist giving you advice on proper brushing and flossing techniques fit for children of such a young age. He or she will also conduct a modified exam on your child’s mouth whilst they sit on your lap. 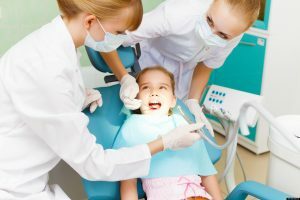 These early appointments are important in helping to identify and problems early and help your child get use to visiting the dentist so that they do not build up a fear of doing so in the future. How can you prevent cavities in kids? The reason cavities happen is when bacteria and food are left on the teeth after eating and are not brushed away. The Acid collects on the tooth and softens the enamel until a hole, known as a cavity, appears. To prevent these, you should establish good oral hygiene habits early. Teach your kids to brush their teeth at least twice a day with a fluoride toothpaste and explain that they should floss regularly. Regular exposure to fluoride toughens the enamel, which makes it harder for the acid to penetrate the teeth to create holes. You should also avoid letting your children have access to certain foods and drinks on a regular basis. On the occasion is fine, but these foods and drinks should not become a habit. 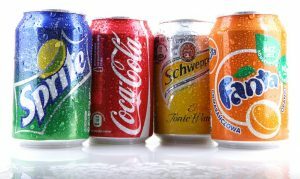 These include things like juices, sugary foods, fizzy drinks and sweets. These will begin to erode the enamel and ultimately cause cavities. It is inevitable that you will allow your child to have these on occasion, and when they do, have them rise their mouth or brush their teeth after they have washed away the sugar. This also goes for any sweetened liquid medicines as these can have a similar effect. As your child ages, the dentist that you visit can help to further prevent tooth decay on a professional level. Older children may find that their bite and the straightness of their teeth can begin to begin them problems. Orthodontic treatment is usually associated with teenagers, but orthodontics has become more advanced and treatment can begin earlier. Children as young as 7 can have corrective appliances to manipulate the teeth at a young age to avoid major treatment later on in life. Everyone wants to have the best smile they can possibly have to feel as confident and healthy as possible. For those who want to take care of their teeth the best they can, we have made a checklist of everything you should be practising in order to gain and/or maintain your perfect smile! Something you have probably been taught about from a very young age is to brush your teeth at least twice a day. Normally, this will be in the morning and before you go to sleep at night. You should aim to brush your teeth for around 2 minutes in order to make sure they are kept as healthy as possible. It is preferable that you brush your teeth with a fluoride-based toothpaste. Exposure to fluoride will stop acid on your teeth from penetrating through and causes holes which are known as cavities. Brushing your teeth stops plaque from building up. Plaque is a film of bacteria which coats your teeth and contributes towards developing a gum disease or general tooth decay. 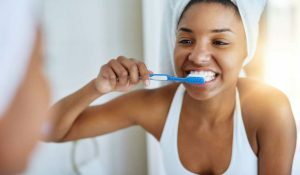 Although using a manual toothbrush does the job, many professionals suggest that for taking the best care of your teeth, you should aim to use an electric toothbrush. With that being said, it is not always about the toothbrush but about how you use it. There is no point investing in an electric toothbrush if you do not follow other advice on how to best look after your teeth. You can get electric toothbrushes which come with extra things like an app to compliment your tooth brushing routine. 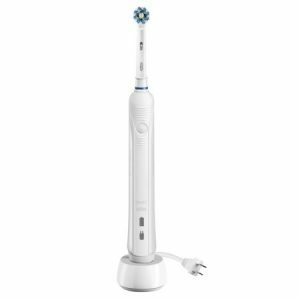 Check out the Oral B Genius 9000. It comes with a downloadable app which links to your toothbrush via Bluetooth and creates reports on your brushing habits and keeps you up to date about things like changing your toothbrush head. A task many people begrudge, but it is a very important step in maintaining the health of your mouth and teeth. Aim to use floss or an interdental brush each day in order to remove food, debris and plaque that may be lodged in between your teeth. You should not be too aggressive when you floss as you risk harming your gums by doing this and causing bleeding. It is important to note that when you first start flossing, your gums may be tender and you may see bleeding, but this is normal if you have only just started your flossing journey. That being said, if you see regular bleeding after a few days, you will need to see a dentist just to make sure everything is in order and that you are flossing correctly. To use dental flood, take around 12-18 inches/ 30-45cm of floss and grasp it so you have a few inches of floss taut between each hand. Then you can slip the floss between the teeth as far as it will comfortably go down. 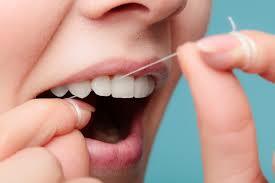 Floss with around 8 to 10 stroke in an up and down motion between each tooth to successfully dislodge any plaque. Mouthwash is a great addition to your oral hygiene routine and can be effective for combating bad breath. However, there is a right way to use it so as to not harm your teeth. Mouthwash contains fluoride which, as discussed, can help to prevent tooth decay and cavities. But, you should not use mouthwash straight after you have brushed your teeth, contrary to popular belief. 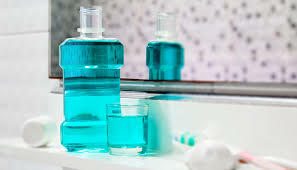 If you use mouth wash straight away after brushing your teeth, it will wash away the concentrated fluoride on your teeth which was left by the toothpaste you used. Opt to use a mouthwash at different points throughout the day rather than alongside your tooth brushing and your flossing. You should also not eat or drink anything for around 30 minutes after using a mouthwash. Having a healthy lifestyle in general will be reflected in the quality of your teeth. Consuming lots of sugar and things like smoking and binge drinking can really affect the health and look of your teeth. If you really want a perfect smile, you should aim to cut down on sugar and alcohol and try to give up smoking altogether. These will also further the rest of your bodies health, promoting a healthy lifestyle. 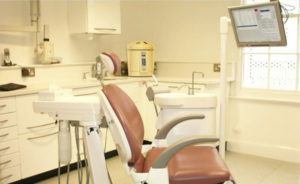 Regular check-ups with your dentist are essential to maintaining the quality of your teeth and gums. Do not put off visiting the dentist because you think there is nothing wrong or actively ignore any issues you may be facing such as bleeding gum, this could be an indicator of gum disease. A check-up allows for your dentist to see if you have dental problems and helps you to keep your mouth as healthy as possible. They may also suggest orthodontic treatment if they believe you could benefit from it. If problems are not treated in their initial stages, correcting them later down the line may prove a lot more difficult, time-consuming and far more expensive. It is advised by most dentists that you get a check-up based on your oral health, but you should never go longer than two years without seeing a dentist. Nevertheless, the time between check-ups can vary from three months to two years.